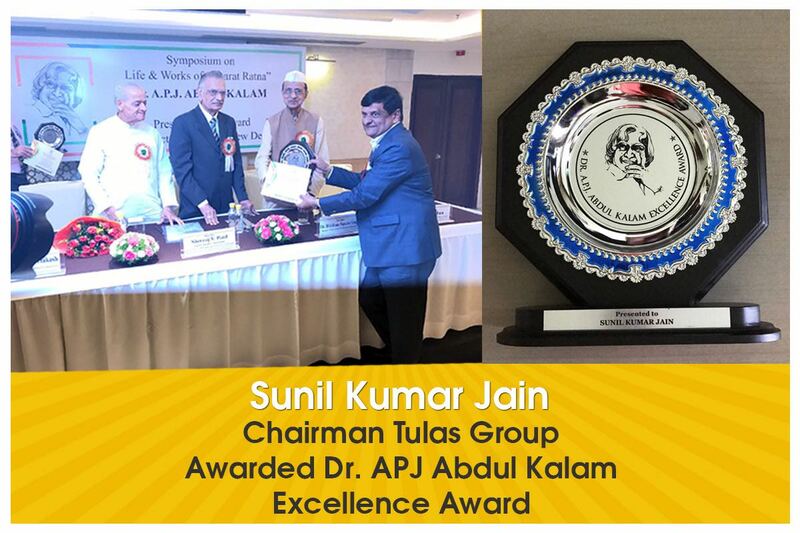 Shri Sunil Kumar Jain, the Chairman of Tula’s group received APJ Abdul Kalam Excellence Award. The Award ceremony was held at Indian Habitat Centre in Delhi. He was honoured for his outstanding individual achievement and distinguished services to the nation. 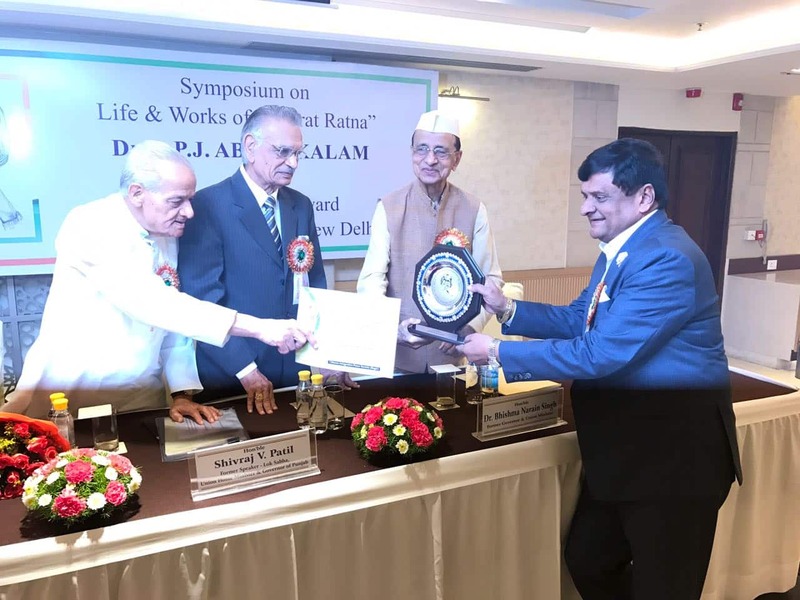 The award was presented by Mr. Shivraj V Patil, former speaker of Lok Sabha, Union Home Minister and Governor of Punjab. 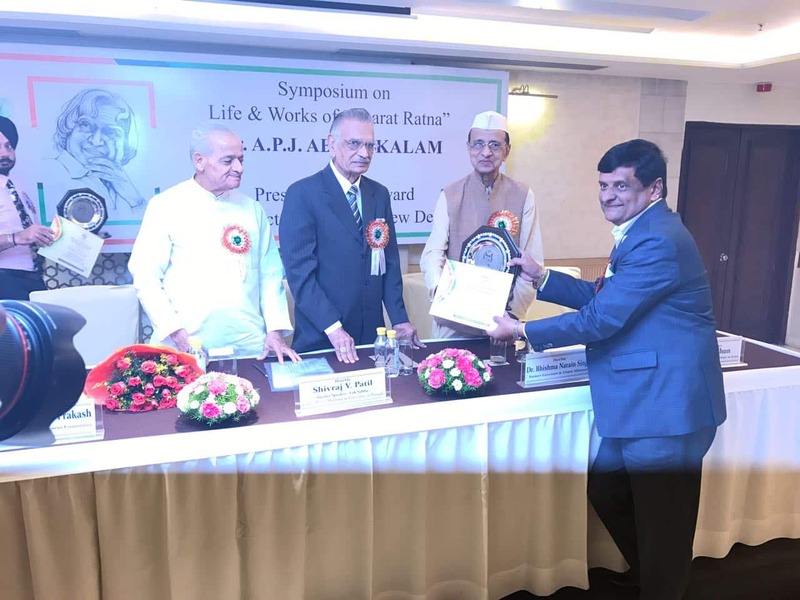 Shri Sunil Kumar Jain has been the recipient of Indira Gandhi Satbhavna Award 2008, Rajiv Gandhi Shiromani Award 2010, Sardar Vallabh Bhai Patel Rashtriya Ekta Award 2015, Edupreneurs Award 2013. He is involved in several social activities like Sangrakshak Jain Milan Foundation, Sangrakshak Mahavir Kanya Paathshaala, Dehradun and Member Jain Sabha, Dehradun.